Established in 2004, Die Stube has always been a welcoming hideaway where regulars and newcomers alike would come and enjoy authentic German cuisine and linger over cold beer. In the expert hands of executive chef, Ralf Schmidt the restaurant’s menu has become the talk of the town featuring mouthwatering German specialties such as Rinder Roulade (Beef Roll) as well as an assortment of homemade German sausages. 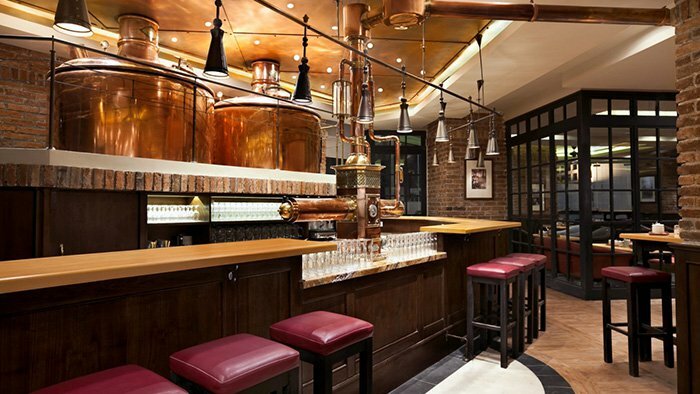 The cozy yet lively bar area still draws in guests for its pub ambiance. Those who like sports will undoubtedly enjoy the facilities the stube has to offer. Die Stube boasts 7 flat-screen TVs in addition to its 3 large screen projectors. One of the newest additions to the German resto-pub list, Metro’s is located in BSD and was kept under the radar for so long until recently. This restaurant offers some of the most affordable pork roasts and German wurst around, yet still maintaining their slow-roast method and also most importantly, the large portion size! 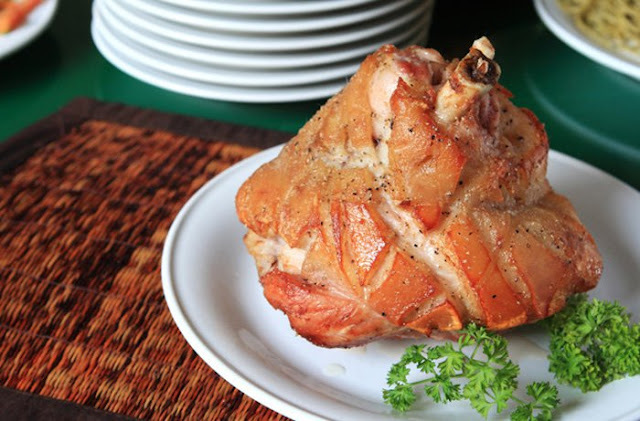 We recommend trying their legendary and mouthwatering Pork Knuckle, and their various sizes of wursts, served with fries and the traditional German rye bread. Bringing Bavaria right into the heart of Jakarta, Paulaner Brauhaus Jakarta is the only microbrewery in Indonesia, and is the international household name for German beer. All Paulaner beers offered in the brewhouse are brewed on site in unadulterated form according to the German purity law of 1516. 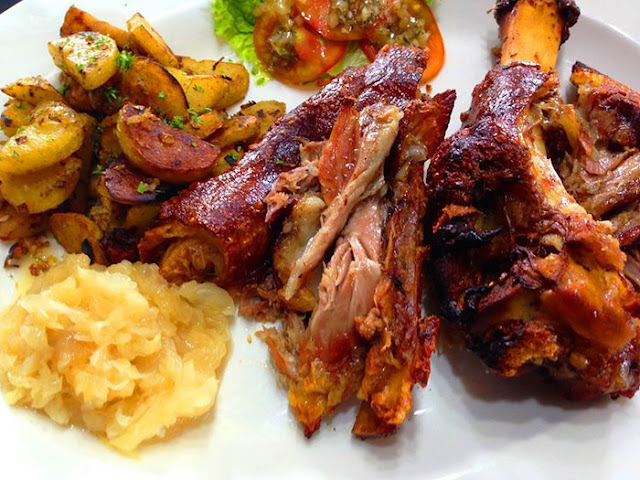 Other than fresh draft beer, Paulaner also serves German specialties that is well represented with the Paulaner Platter which groups almost every meat dish you can think of; pork chop, sausage, meatloaf and crispy pork knuckle served in one plate! Established in since 2001, wittily named Ya Udah (loosely translated as ‘alright’ in Indonesian) has been serving great German style food and strong drinks in the popular Menteng area. Ya Udah Bistro boasts one of the biggest pork knuckles around, weighing approximately 1,5 kilos, directly from the grill, and also their heavenly home-smoked bacon. 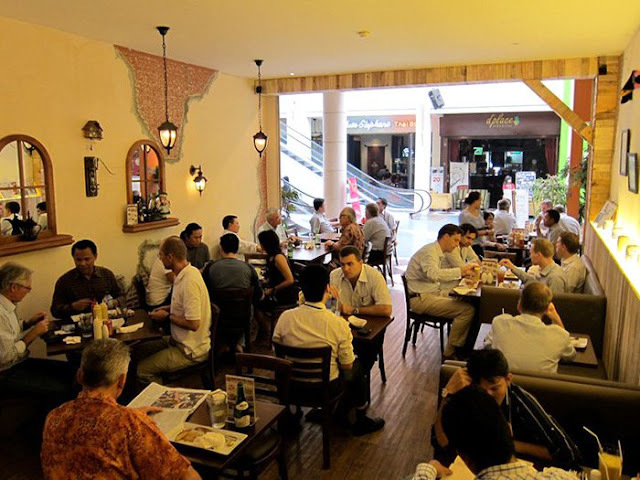 Still related to the aforementioned, Die Stube, Imbiss Stube was started to cater to the busy breakfast and lunch crowds of South Jakarta at Citos Mall. All their products such as Bratwurst, Bockwurst, Nurnberger and other cold cuts are made at their very own butchery down at Kemang. 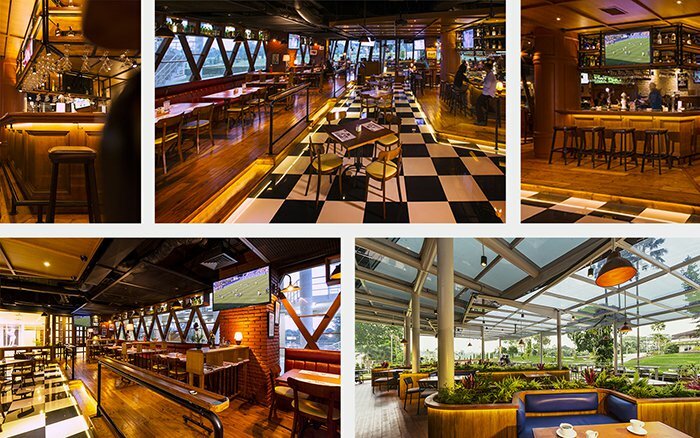 A great place to enjoy a tall glass of cold beer with friends over a game of football or motor racing! The Tavern is one of the longest standing German Bars in Jakarta, serving legendary Hot Stone Steak and rustic Bavarian food. It´s design is cozy and warm, and showcases every night live-bands starting 8:30pm till late. Happy Hour is between 5pm – 8pm. The ‘youngest’ sister of Die StubeSport Stube offers the same German goodness with Die Stube but with a different view overlooking the Pondok Indah Golf Course. Still serving their champion pork knuckle with a side of roasted potatoes and sauerkraut, and side dishes like sandwiches. Located adjacent to a beautiful golf putting green, this cozy restaurant has an expansive outdoor dining area.